Every sales leader looks for ways to increase sales results. The fatal flaw is in looking for that one great big sales improvement idea in the hope of hitting the sales jackpot! You know how often that happens? Almost never? So it happens sometimes? I’ve worked with one B2B sales team who saw their sales conversion close rate go from 1:25 to 1:7. All in a mater of weeks by changing one single thing. Quite simply, we niched their product and only sold into 5 very tight vertical markets. Vertical markets that were big enough to sustain them in business, with a common issue that my clients solution, a highly commoditised solution, could eliminate. Again in little over a month. All because we restructured the sales pitch, we also launched a new pricing model, with a simple reframing of the sales value proposition. So, there are ways to dramatically increase sales results. Miracles do happen. But they don’t happen often enough, so here’s a helping hand. 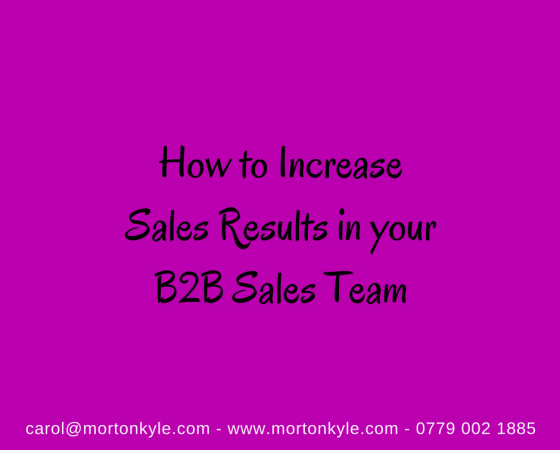 Get the sales team to share their last three major sales successes. What they were, how they happened and what was the result. What part they played in making it happen. Get them to share, reflect and conclude what made the deal happen and what made it a good deal. Look at the sales pipeline and where most of the deal are sticking. Develop a tailored sales training or sales coaching session to unblock the sticking point. Review what each sales person is great at, some might be first class lead generators, some great at closing, others super at pushing deals through the pipeline, ask each of the subject matter experts to share their skills and act as a reference point for their peers. Look at how to make the sales process shorter, take out everything that doesn’t add value to the customer. It could be offering prices at the first meeting instead of leaving and sending an email quote. Offer a discount for business signed up on the day. This is a contentious hot potato so needs to be framed so as not to seem desperate. Pricing is a powerful motivator and sometimes attractive pricing with a strict time frame can work, but be aware, it can sometime box the sales person into a corner if not used effectively. Make sure you are selling benefits and not features, people buy benefits. Do you have a strong sales ROI? A strong and transparent pricing and return on investment model for your prospect to see what their spend is versus the value they will see? No? Get that fixed. Have a set period for crazy new business development. It might be every Monday from 9 – 12, it could be every day from 10 – 12. You pick, but during this process, it’s about converting Contacts to Conversations, whether that’s picking off highly profiled and researched LinkedIn contacts, or working through association/trade lists that have been identified as fitting the Perfect Prospect Profile. The aim is to engage new prospects, further qualify and position appropriately in the sales pipeline. Most importantly, its about quality of conversations and directed new business sales activity. This only works if the sales team has a crystal clear view of their Perfect Prospect Profile which has been clearly defined. If you know your Perfect Prospect Profile, then this is presumable where your biggest/strongest competitive advantage is? Ask for social media testimonials. Look at your contacts contacts within LinkedIn…is there anyone you’d like an introduction to? Look at all the buyers who bought from you this time last year, two years ago. Look for industries where your top 5 clients come from and contact the top 20 firms in that sector. Run a webinar for existing customers about a current hot topic, stimulates conversation, gives you a reason to make a call and offers huge value to your customers. Bundle some existing products/services, look at cross sell opportunities. Who is currently buying a product/service from you where you also provide an add on/up graded solution? Talk to them. Can you launch a loyalty based program based on volume sales? Can you build a review/health check solution around what you sell? What other problems do your current buyers have, problems that you can solve with your products/services/expertise? Are your sales presentations heavy, clunky and all about you? Ditch them and start again. Good sales presentations are all about the prospect, their problems, their needs, their need for a solution that works and your experience in delivering such a solution. Is your sales presentation geared towards educating, enlightening and entertaining? No? Ditch it. Start again. Does your sales presentation have hot triggers to influence and persuade? Does your sales presentation use frames to drive curiosity, fear, need? Is your sales presentation overly complex? Do you know what that does to your prospect’s brain? Almost total and immediate shut down? Does your sales presentation talk to their emotional brain or their intellectual brain and do you know which brain makes the decision to buy? Do you ask your prospect, at the end of the pitch, the four questions that will establish how effective your pitch has been, namely? What’s the most important think you’ll take away from this meeting? What will you tell your team about this presentation? What objections do you think your team will come up with? And what will your response be? Ditch prospects that don’t respond to your out reach…leave them fallow, disposition them into some email scheme, let then stay dark…but don’t chase. Spend time engaging only with prospects that see your value, are open minded, understand the need to discuss and discover. Be ruthless with dead weight in your sales pipeline. Qualify hard and fast at all stages in the sales cycle. Any sales call at any point in the sales cycle will need to be a sales advancement call. Calling to check in is no longer allowed. Calling to see if they are ready to make a decision is. If you insist on bumping a poorly qualified sales prospect to a call back in 3 months time, you’d better have a really good reason for doing that. Other wise, all you’re doing is churning rubbish. Is marketing targeting the same perfect prospect profile as you are? Are there any activities they could perform with their current email cadence to flush out prospects with a specific problem, in order to generate a call list for you? What other lists do marketing have? Who else in the business can generate leads for you? Could customer services staff ask incoming callers one extra question? Could the service engineers ask two extra questions whilst they are onsite? How about the maintenance teams? Delivery drivers? When the business is looking for ways to increase sales, then everyone is a lead generator, everyone is a cold caller and everyone is a problem solver. Want to make it easier? Check this out The Top 10 Rules Rich Cold Callers Know and You Don’t! If you’re looking to up your new business development game and your looking for ways to increase sales, take a look at the The Sales Improvement Workshop. 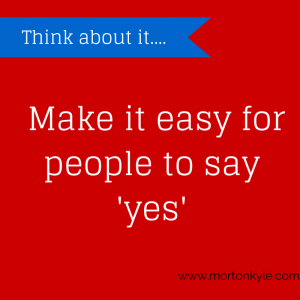 To really discover if cold calling works and to get a definitive answer to does cold calling work, then call 0779 002 1885 or email carol@mortonkyle.com for a confidential chat. 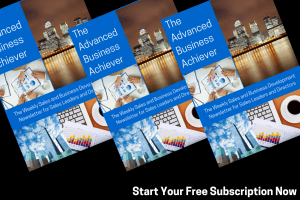 This entry was posted in Blog, Sales Audit, Sales Coaching, Sales Consultancy, Sales Strategy, Sales Training and tagged B2B Sales Training, High Performance B2B Sales, Sales Improvement, Ways to Increase Sales. Bookmark the permalink.